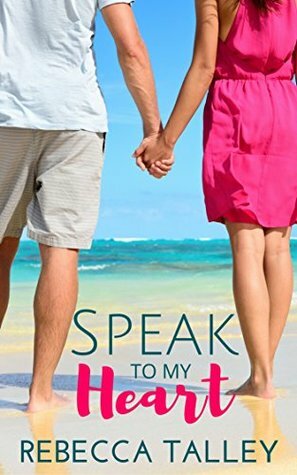 About the book: When Hailey Baker receives the call that her beloved Gramps has suffered a debilitating stroke that's left him unable to speak, she’s determined to help. Putting her accounting career at risk, she seizes the opportunity to leave her recent heartbreak and subsequent addiction to Netflix behind. My review: I loved this book on so many levels! I really liked Hailey, I loved that she would put her career on hold and move across the country to help her grandparents out when they needed help the most. I loved her grandma, her intricate matchmaking schemes were so funny. Her grandpa was great too. I loved the way you could tell how much he loved Hailey and was glad to have her there with them as they went through this hard time. Then there's Peter. He really was such a great character too. I loved that he wasn't looking for any kind of a relationship, he's been hurt before, but when he sees Hailey with her grandfather at his appointment, he pretty much is a goner. I loved that there is kind of a bit of an onion effect with him, there are so many layers that get peeled away. And I loved the way he was there for Hailey when she needed him. This is just a cute romance that you can read when you need an escape to Florida and I know that some days are just like that! I received a copy of this book from Kindle Scout.